If you like family days out and happen to be south of the river in London this Saturday, there is a cool dance festival just waiting to be visited, completely free of charge. 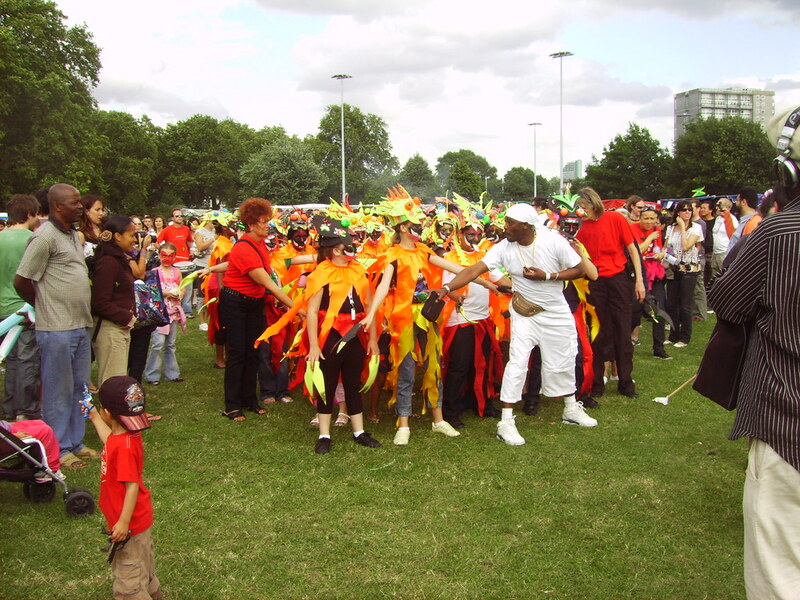 The Bermondsey Carnival, being held at the Southwark Park this Saturday, 30th June 2018, is the perfect family fun in the sun session, with a summery mix of dance, music, events for adults and children and its own funfair. South London is home to many vibrant Latin American communities, with Londoners from Brazil and Colombia forming the majority of them. This year, the Bermondsey Carnival will honour local South American communities by taking on a Latino/a theme, with performances from the Abba Gold Girls, the singer-songwriter Mancie Baker and a Salute to Sinatra from Louis Hoover, the original star of the Broadway show. Then people start showing up waiting for something to happen. First thing happening is a leader car and some bikers that means something else is coming. The winner of the running race with 200 meters left to finish line. After the elite group comes the elite of amateurs. People cheer and carry each runner with their voices and applauds to the finish line 200 meters away. Still runners in the race. Everyone gets good backup from the audience. It is a very friendly atmosphere. Some of those who finished the race on their way back home before everyone has finish. We’re still waiting for the last hero. Can this be the last one? Nope. It wasn’t. Here comes the two final heroes. After that comes the follow car. Race is now almost over. Relationship is supposed to bring happiness but is it actually like that. Many at times, we are the enemy of our own selves. Often times we let things we can control have control over us. For example… You know quite alright that staying angry doesn’t change a thing but still you stay angry whereby things get out of hand. You have control but choose to be controlled. Life, as wonderful and beautiful is… It is also short. Remember, one time you were 10 years old, now you know your age, before you know what’s happening, you will clock 65 and above. You and I don’t have the luxury of wasting a bit out of life. This is more reason why I have to share this poem with you. … Life is designed for us to enjoy every moment with everyone around us.